As CJ described in The Sisters Grimm, Katherine and Lucy like to use their imagination to come up with some truly diabolical scenarios to act out. Here are a couple of bonus additional scenes from our edition of Horror Theatre. Yes, that is a corral, a feeding trough, a vertical jumping obstacle, no fewer than 5 horses, and a myriad of other props. Um, Katherine? 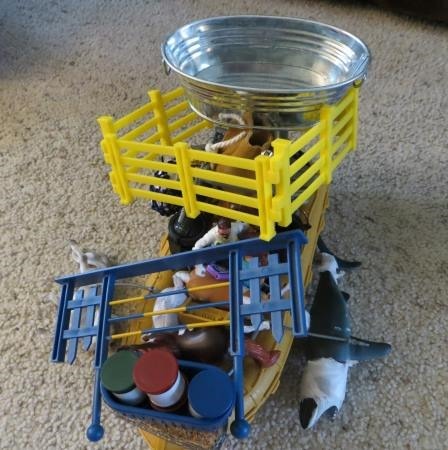 I think you’re going to need a bigger boat. 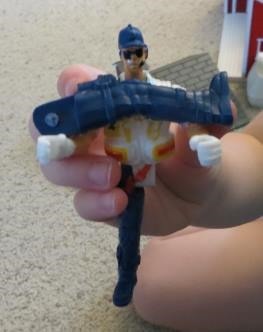 Yes, that’s an action figure holding his own leg. I can has duct tape, pls?